Please download and fill out the rental form and email it to us. If you would like more information please feel free to call or email the office to discuss your intention for building rentals. All parties must adhere to the Alberta Fire Code of max capacity of only 90 persons in the sanctuary, max 90 persons (standing) or 55 persons (seated) in the hall and 20 persons upstairs. Every renter must have liability insurance. Please ensure you have this in place for your rental. The upstairs space is perfect for a meeting of 20 people or less. 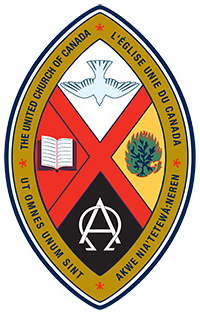 Rental requests are subject to the compatibility with the Mission Statement of Ralph Connor Memorial United Church and subject to review and approval by the Church Council. To check online if the church space is already booked on the day you are requesting please visit our website calendar page. If you are wishing to rent the Church for a Wedding please visit our Weddings page.